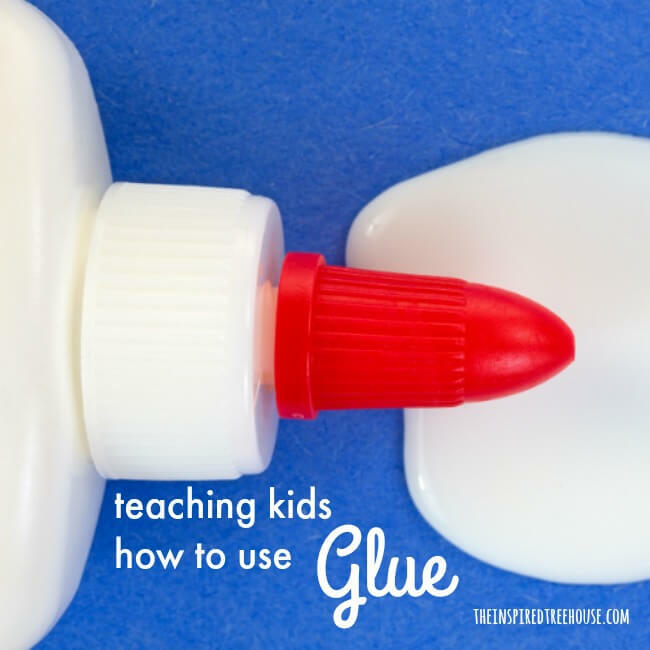 Looking for tips about teaching kids how to use glue? You’ve come to the right place! You find a new craft on Pinterest that you know your little ones will love. You head to the craft store, gather up the supplies, and round everybody up at the kitchen table to get started. And then it happens. The giant glue puddle. At first, it stays on her paper but gradually, it starts running off of the paper and onto the table. 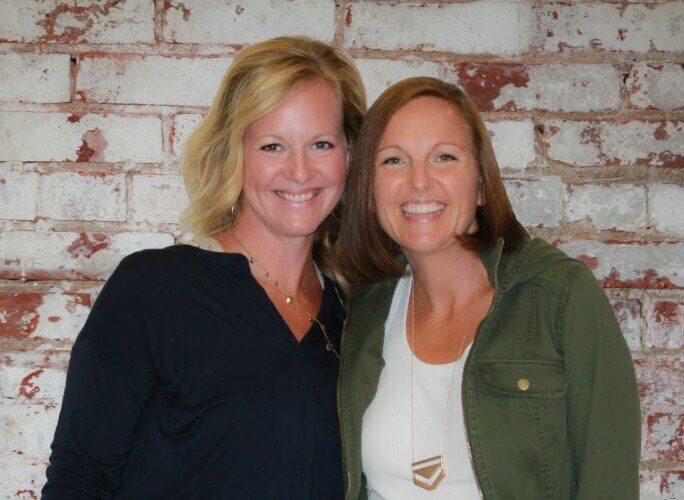 And before long, there’s a glue waterfall dripping over the edge of the table onto the floor – and you just can’t be the cool mom/laid back teacher/relaxed therapist one moment longer. Out come the wet rags, the glue bottles get thrown back into the craft box, and craft time is over. Does this ring a bell? Then it’s time for a glue intervention…a glutervention? Whatever you want to call it…it’s time to take action! 1 || They squeeze too hard. This refers to the glue puddle described above. Why does this happen? Well first of all..it’s really fun. There’s nothing quite like an amazing, giant, sticky, white mess. But also, the child might actually not know how hard he is squeezing. Grading the force of our actions (i.e. how much pressure to use when squeezing a glue bottle) has to do with the proprioceptive system. When this system isn’t functioning well, kids may not have a good sense of how much force to use during fine motor tasks. For other kids, the glue puddle may happen as a result of seeking out that squeezy, deep pressure-y proprioceptive input. 2 || They don’t squeeze hard enough. Again, if the child is struggling with proprioceptive functioning, he may not know how hard he has to squeeze to get the glue to come out. But more commonly, when we see kids who can’t squeeze a glue bottle with enough force to get the glue out, they are struggling with hand strength. 3 || They put the glue too close to or off the edge of the paper. This one usually comes down to a little bit of practice and development with coordination and visual motor skills. Some kids who have visual problems may also struggle to see the edge of the paper clearly. Using a contrasting colored mat underneath their work can help. 4 || They put the glue only in one place. 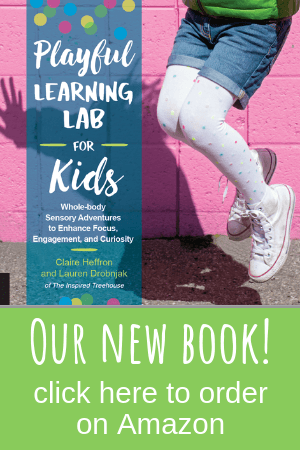 This issue often relates to visual spatial development – how well kids are able to perceive and use the workspace they’re given. So, even though it seems like there’s a lot that can go wrong when a kiddo has a glue bottle in his hand…there’s another way to look at it. Using glue bottles is actually an amazing way to give kids practice with all of the skills described above. When they use glue, kids are getting a great proprioceptive experience. They’re gaining great hand strengthening benefits. And they’re developing their visual spatial and visual motor skills. 1 || Get fancy with your glue. If you want to get kids interested in using glue, step away from the boring white stuff for a second. Try glitter glue , glitter glue pens – there’s even scented craft glue ! 2 || Tracing with glue. Have kids use their glue bottles to trace lines, shapes, letters, numbers, their names. We have a free glue practice printable here, but you can use any tracing sheet you have on hand! You can even have the child trace letters, numbers, or shapes onto card stock and then, when the glue dries, use the cards for the child to practice tracing with his finger! 3 || Completing mazes and dot to dots with glue. Print out a simple maze or dot to dot page and let kids go wild with their glitter glue! 4 || Use glue on play dough mats. 5 || Use glue with Q-tip painting templates. Print out one of these fun q-tip painting pages and then have kids place just a little dot of glue in each circle! Again – colored or glitter glue would work great for this! 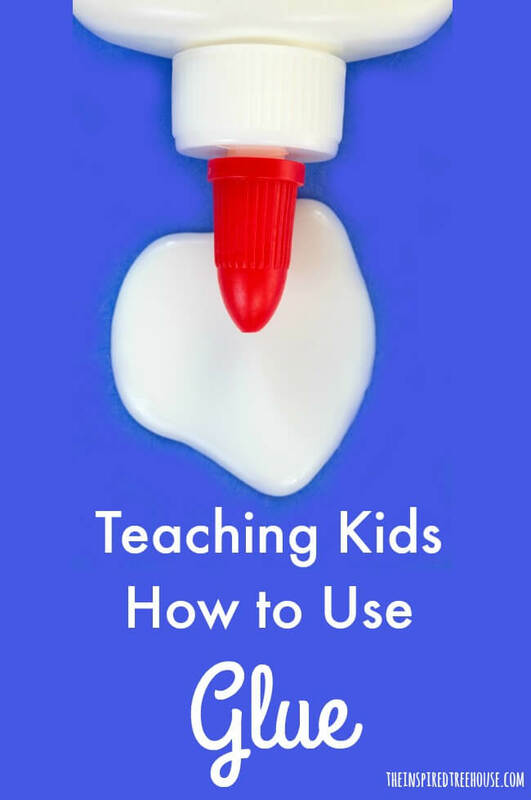 Looking for a fun book to introduce these glue activities to your kids at home or at work? Check out Too Much Glue by Jason Lefebvre ! 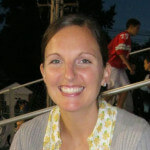 Working with younger kids who aren’t quite ready to try it on their own? Check out the Tap ‘N Glue Cap – it looks like a cool way to help kids control how much glue comes out of the bottle! Let’s hear it…what are your favorite ways to avoid the infamous glue puddle? Share them in the comments below! Thanks for the great info! It explains a lot! I’m my classroom, we begin gluing as soon as school starts. I teach them “the glue rule “: One hand holds the paper, one hand holds the glue, ’cause two hands make too much glue! It really helps! Hi Jeanette! I love your glue rule! Great idea to give them a little rhyme to remember! :) Thanks for your comment.